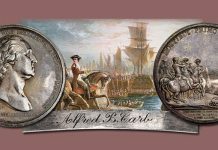 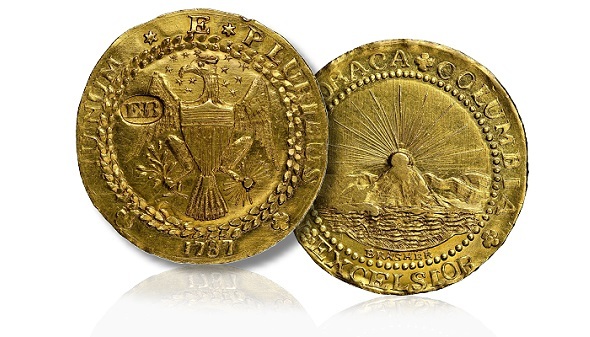 From a million dollars paid for an early American penny to $4.5 million paid for the first gold coin struck for the young United States, the market for high-quality, historic U.S. rare coins set another record for numismatic auctions in 2014. 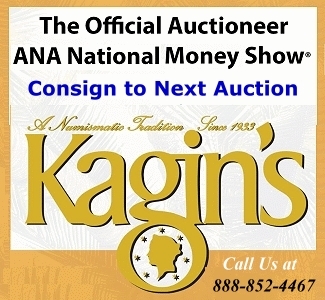 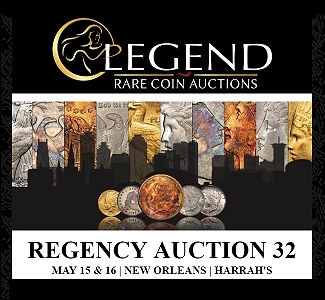 The overall U.S. rare coin market was estimated at about $5 billion, and a dozen coins sold for $1 million or more each at public auctions in 2014, according to a year-end tabulation by the Professional Numismatists Guild (www.PNGdealers.org). 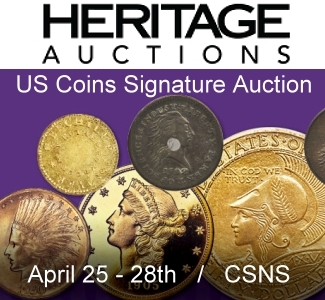 “The prices realized for U.S. coins sold at major public auctions in 2014 totaled nearly $536 million, surpassing 2013’s record of nearly $393 million. 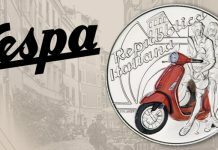 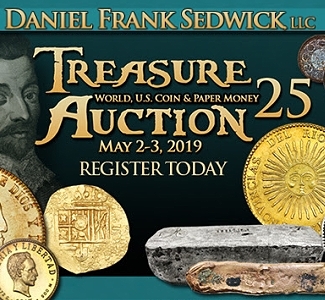 Several important collections will be offered at auctions in 2015, and I anticipate we’ll again see record prices for so-called ‘trophy coins’ that combine historic significance, rarity and superb condition,” said PNG President Terry Hanlon. 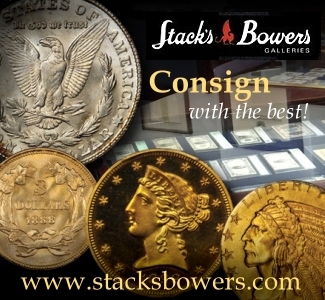 “We estimate the overall coin market in the U.S. at about $5 billion in 2014. 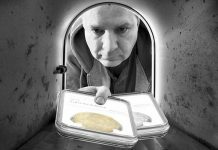 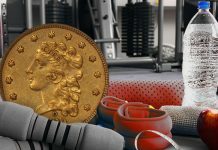 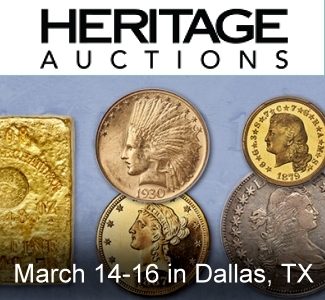 That includes auctions and private transactions made at coin shows, by mail order, online and at coin stores, but does not include numismatic bullion items or the modern coins sold directly by the United States Mint,” explained Hanlon. 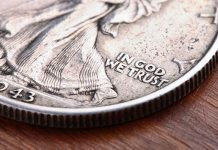 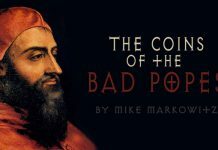 “In the second half of the year, there was some softness in prices for relatively ‘common’ coins as gold and silver prices dropped, but the market for truly high-quality, historic rare U.S. coins continued to do quite well,” he said. 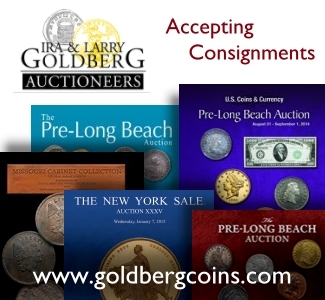 The auction companies responding to the PNG questionnaire about their 2014 auctions of United States rare coins were Bonham’s, David Lawrence Rare Coins, GreatCollections Coin Auctions, Heritage Auctions, Ira and Larry Goldberg Coins & Collectibles, Legend Rare Coin Auctions, Scotsman Coin and Jewelry, and Stack’s Bowers Galleries. 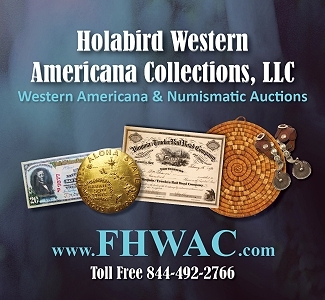 All prices include the buyer’s premium, if any, to reflect the actual total prices paid by the winning bidders. 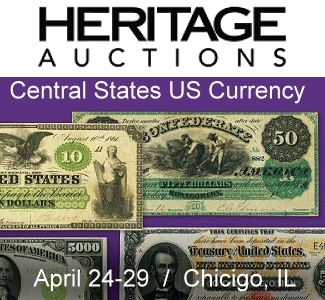 The PNG survey did not include 2014 auctions of paper money or coins produced by other countries (“world coins”), two areas of the numismatic marketplace that also experienced record prices for many items.